Guide wires hold the flagpole erect while a US Marine gazes at the ships unloading on the beach. Vehicles can been seen moving on the island below Mount Suribachi. 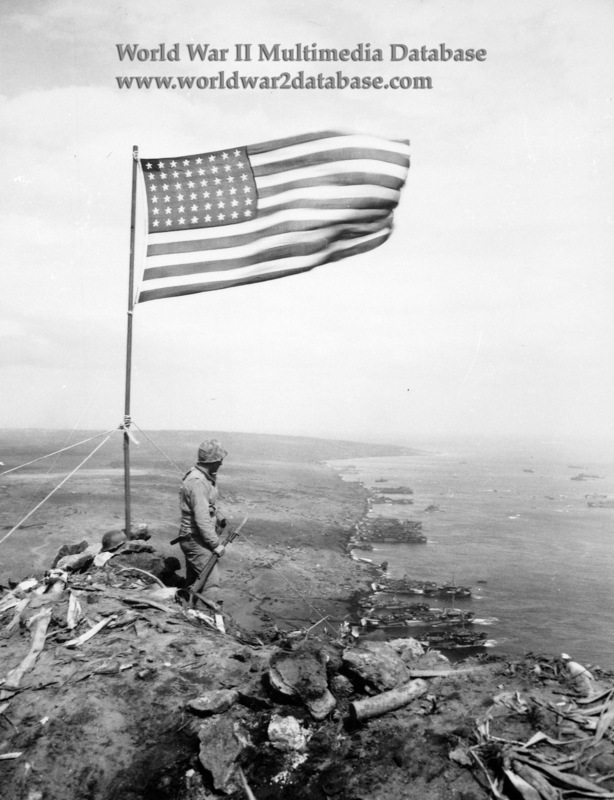 The flag flew for the duration of the battle after it was raised on March 23, 1945. Both of the flags raised on Mount Suribachi are now in the National Museum of the Marine Corps in Quantico, Virginia. The flag was shredded by the high winds and blown sand.